Thought I would start to share some of the beautiful crochet I run across on the web, usually on Pinterest. It is so inspiring to see what gorgeous things others have made. 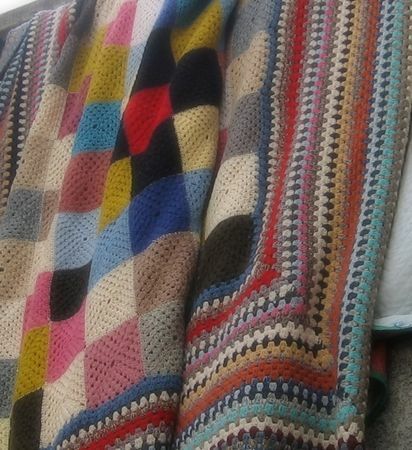 This one is from the blog lana verderosa, a simple granny blanket with beautiful colors and design….I think this is going on my (only in my mind) ‘to make list’. There is no pattern or directions, just this image to inspire. Maybe I should make an actual list, might remember some of these things and make them. Oh, I can add a ‘want to make’ tag which will create a list here!